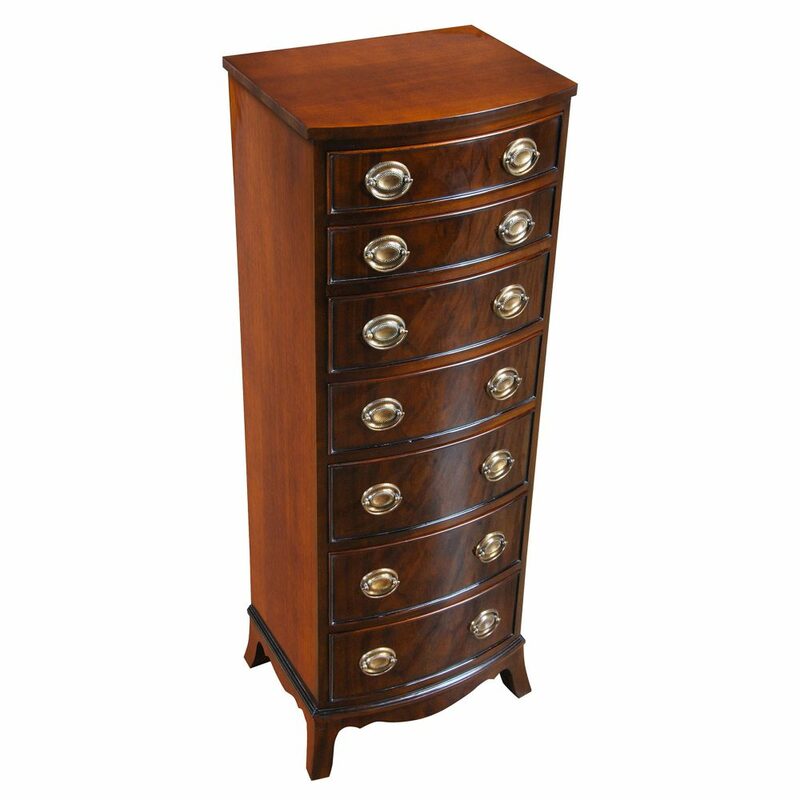 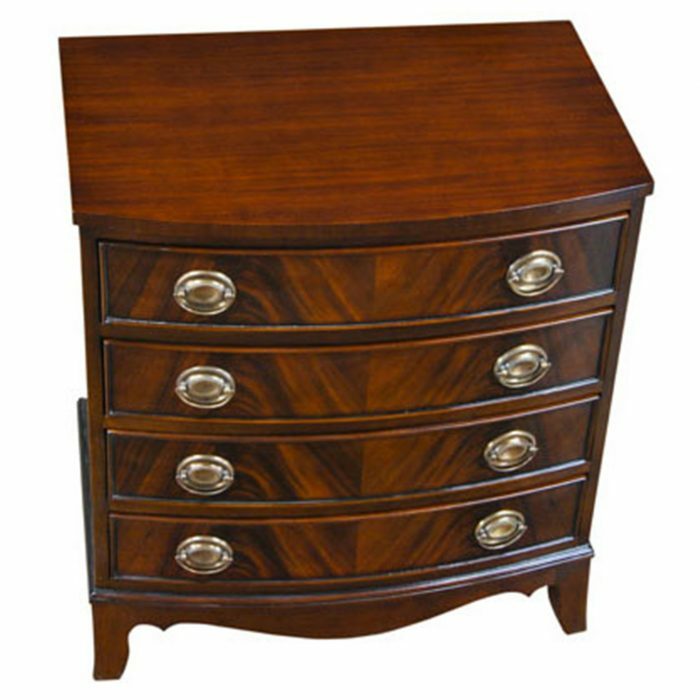 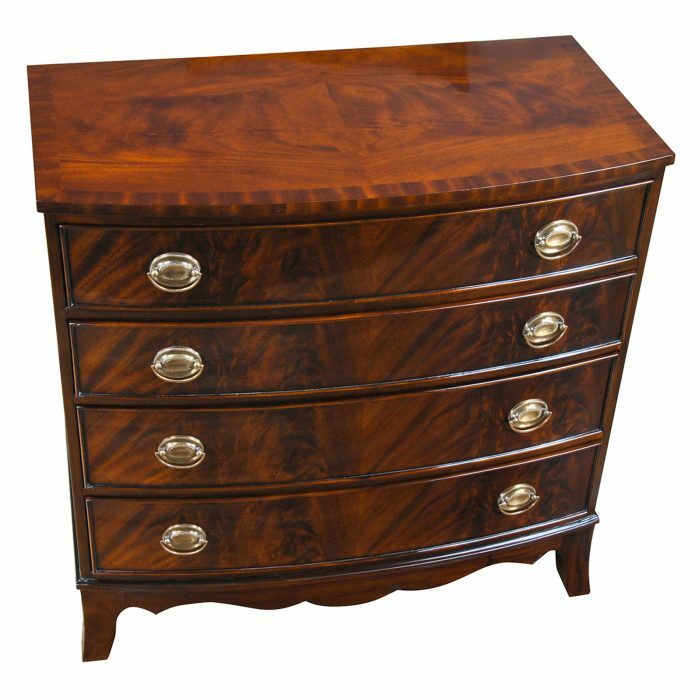 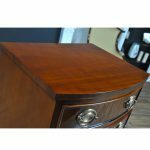 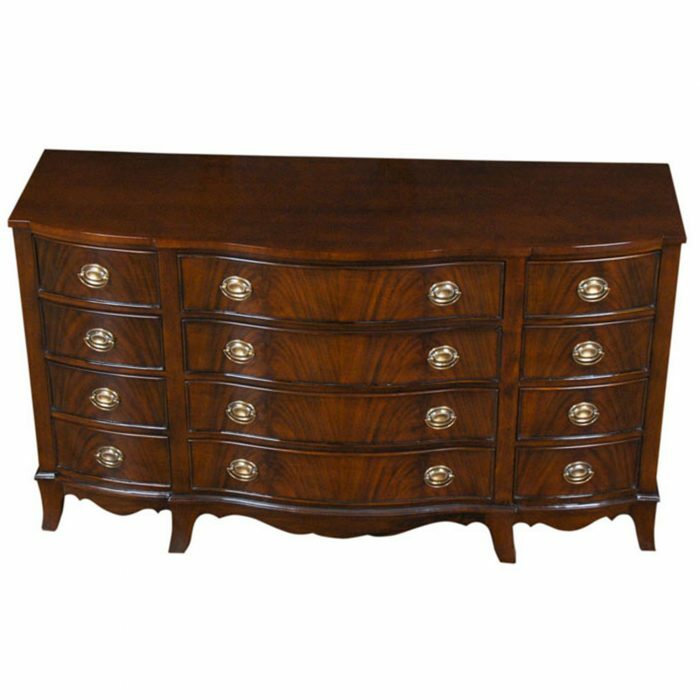 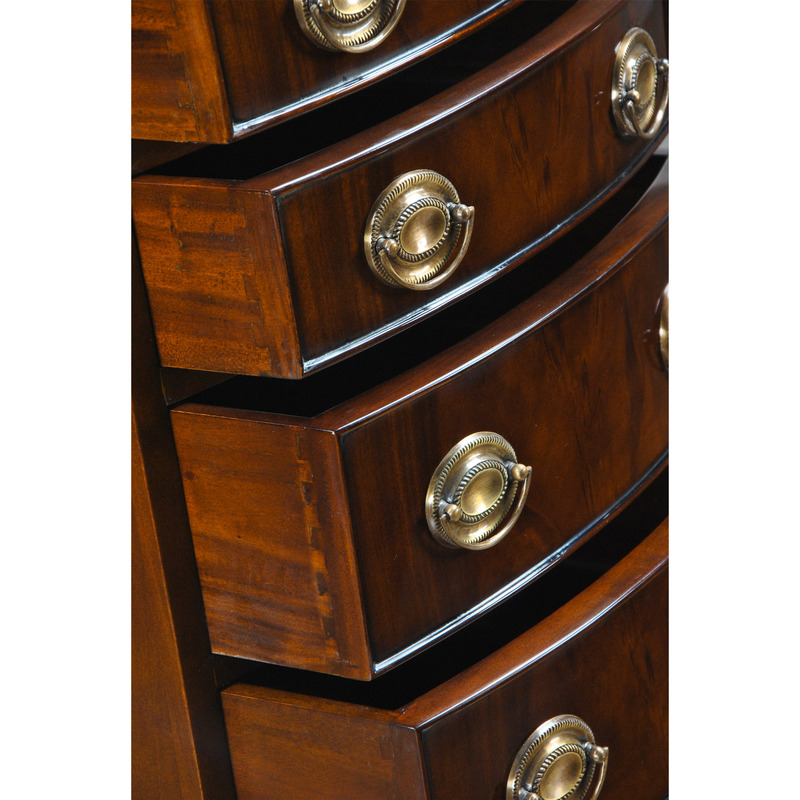 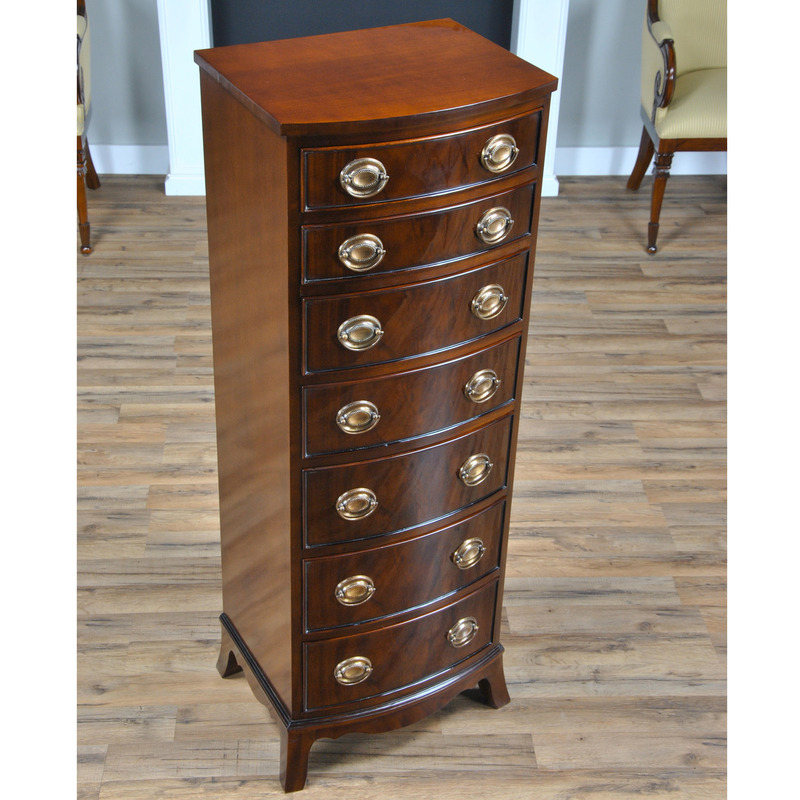 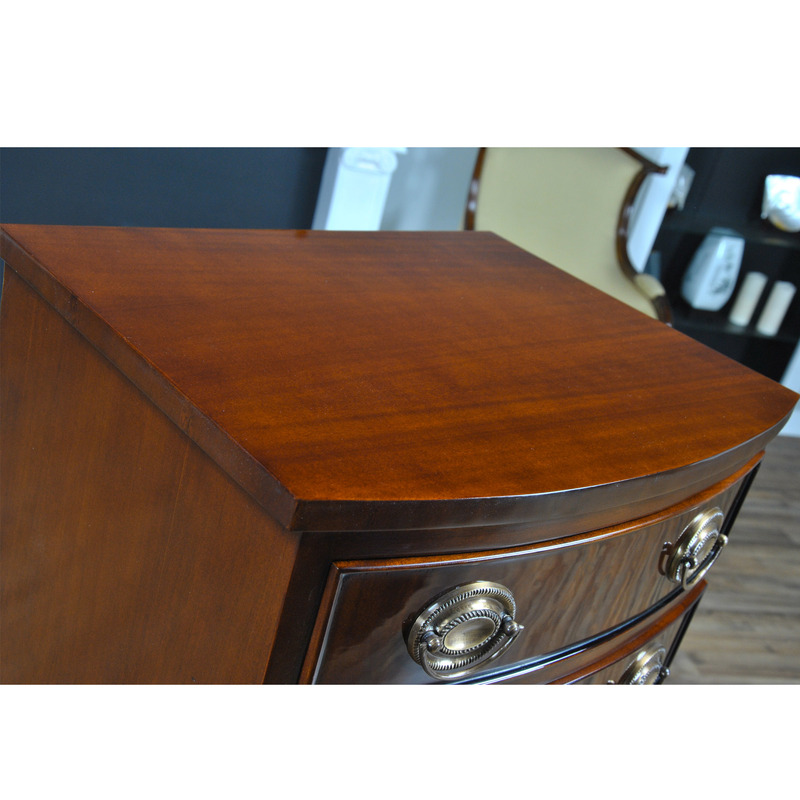 The Niagara Furniture Mahogany Lingerie Chest, a high quality piece of furniture from top to bottom. 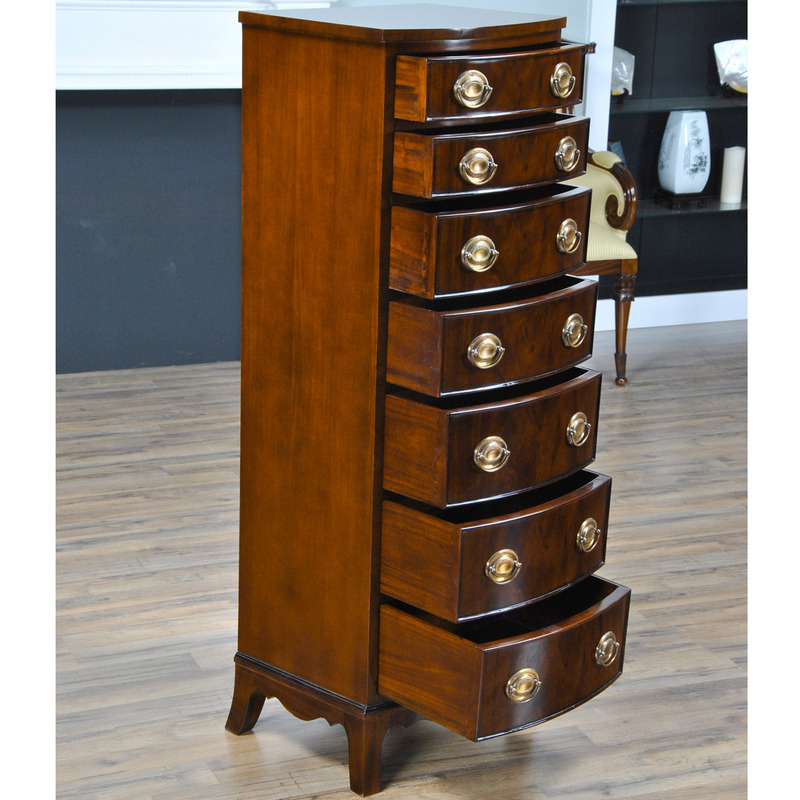 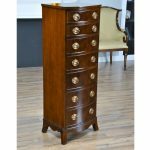 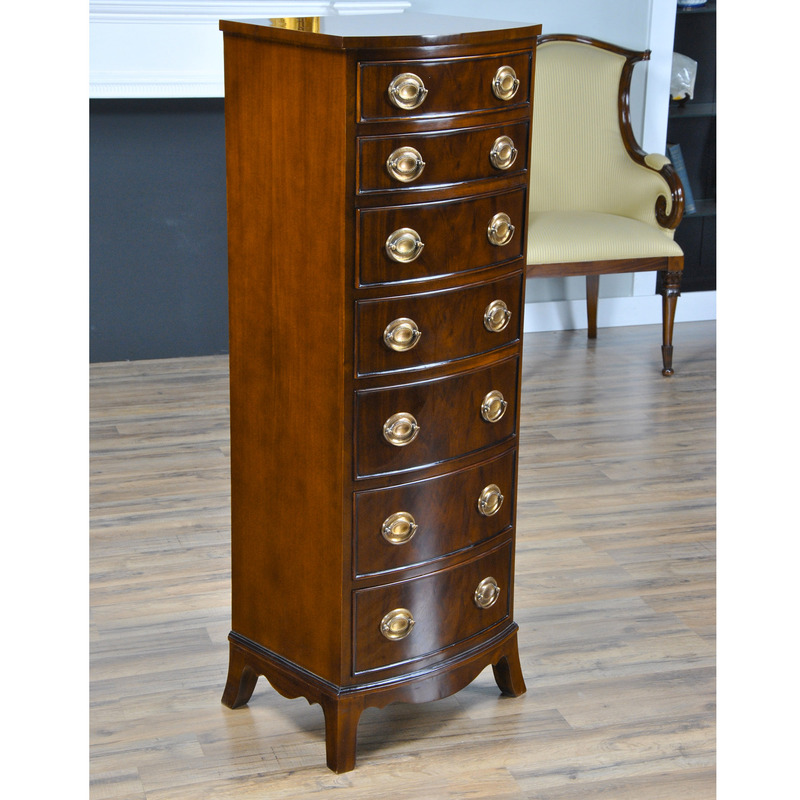 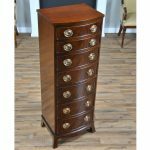 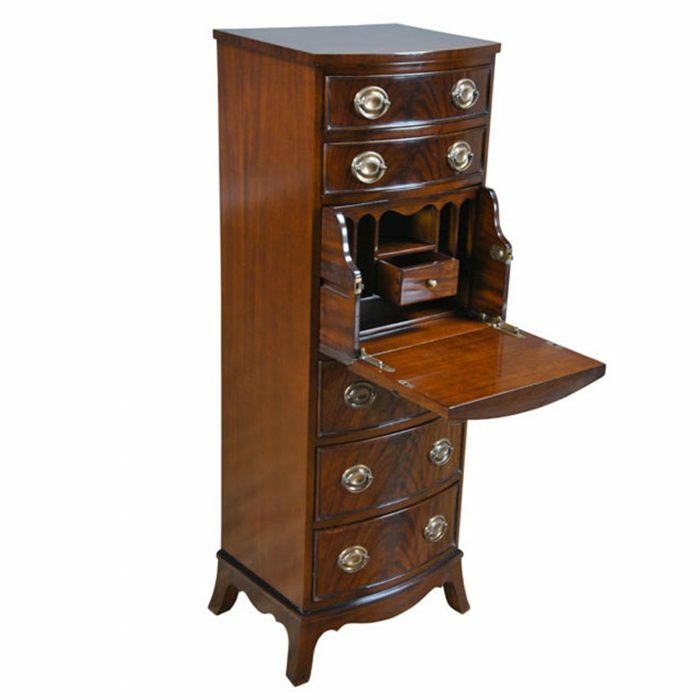 This tall chest was designed to store lingerie but it can hold any variety of items, all in a narrow space. Hard to find vertical storage, all on beautifully shaped legs with attractive bow front graduated drawers with beautiful brass oval handles. 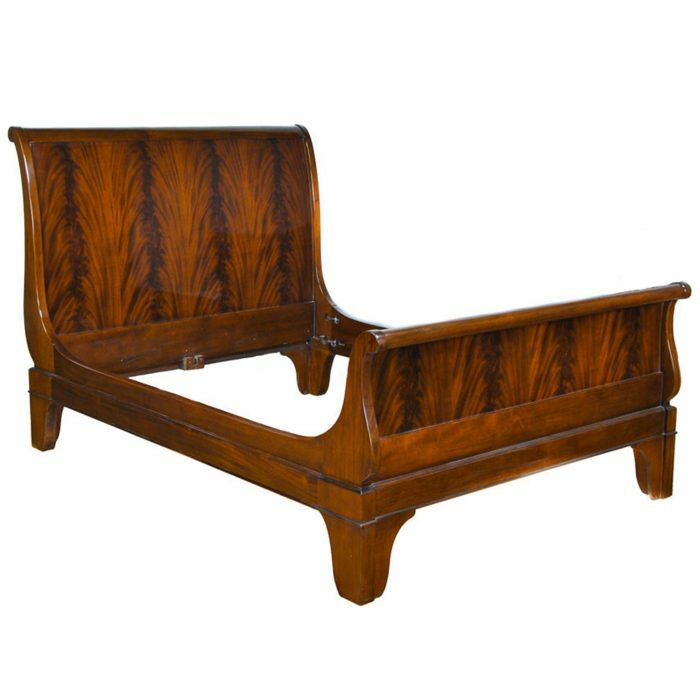 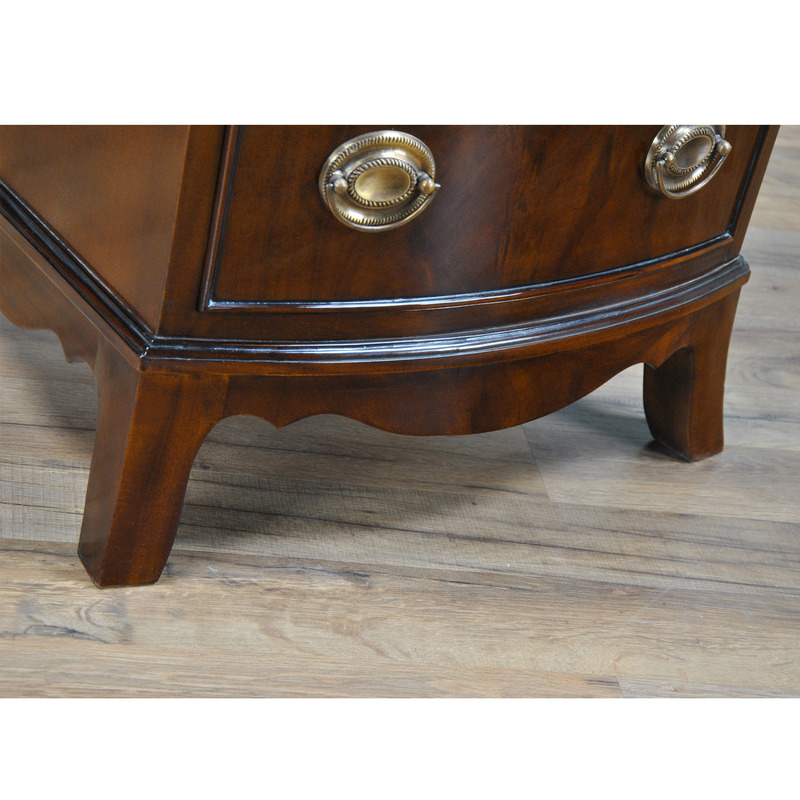 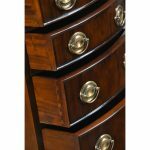 Beautifully finished to a warm golden brown hue that will lend itself to almost any setting this Mahogany Lingerie Chest matches many other items in our collection and these terms can be seen on this page in the “related products” section below.